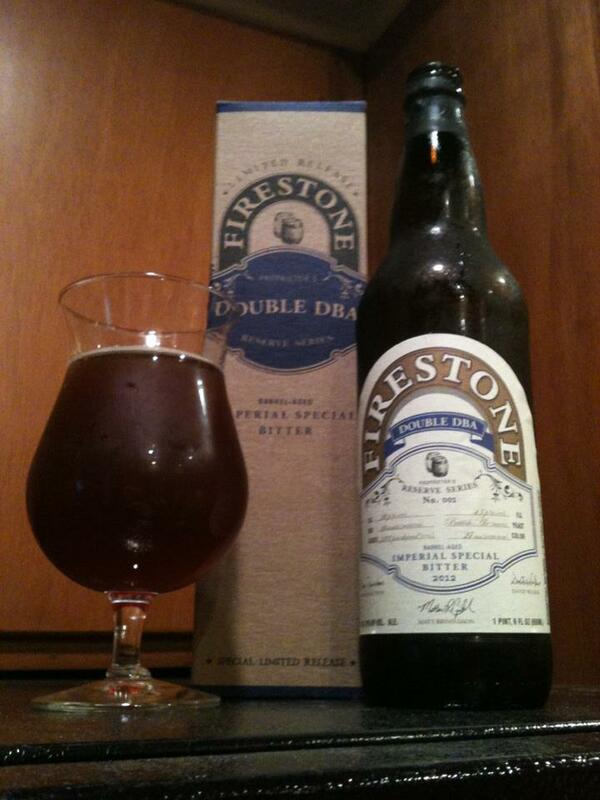 Lakefront Imperial Pumpkin Ale that is aged in Brandy Barrels, 9.5% ABV. What could be a better way to start of the month of October than with my first Pumpkin Ale review of the season! The cap came off with an intense pop, surprising for a Pumpkin Ale. I noticed the foam slowly creeping towards the top of the bottle neck, so I got this in a glass before it spilled out. 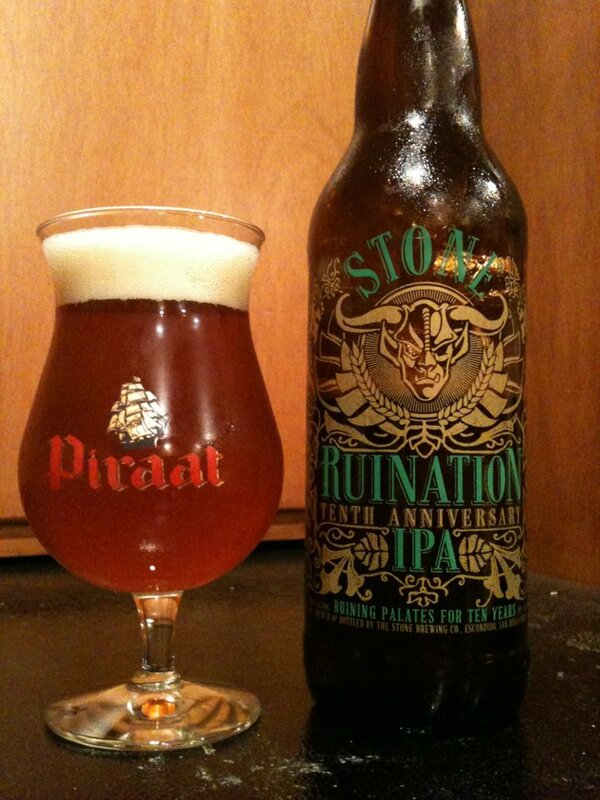 After pouring it seems just fine, not over carbonated and no sign of infection. The color is nice but not typical, bright red hues in a rich amber beer. The aroma nails the description, I’m getting pumpkin pie, vanilla, allspice and sweet brandy. This is a strange (not so) little beer. To start this is so very sweet. Between the pumpkin pie filling, huge vanilla, and sugary brandy sweetness the beer is approaching cloying. At the same time there is a strong spice and and big alcohol dryness that somehow creates an element of balance on the finish. 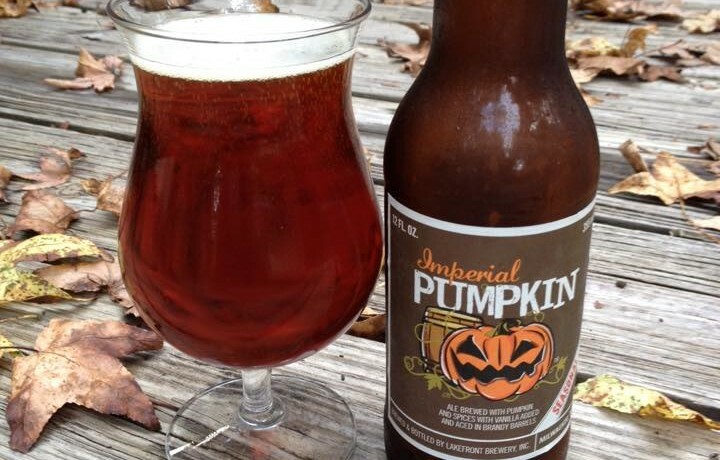 I had a chance to try the 25th Anniversary Imperial Pumpkin and I found it a bit too sweet and boozy, too much of a good thing maybe. This one started down the same path but then it finds it’s way. 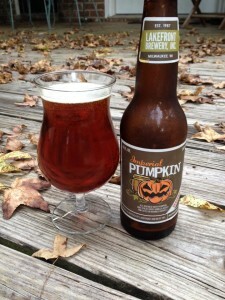 You’re going to need a sweet tooth to really get into this, but it is a quality Fall sipper. Previous story Bonus Podcast: Sam’s Back!